Kyoto is to be seen to be believed. 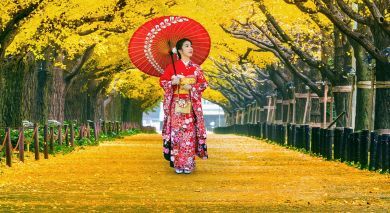 With no less than 17 UNESCO World Heritage sites, the city encapsulates traditional Japanese culture and tradition. 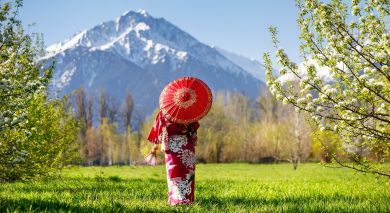 Visit a plethora of ancient shrines, sip matcha at its sedate tearooms, relax at traditional inns (ryokan) with tatami mats spread out in minimally decorated rooms, or practice the art of conversation with a geisha. 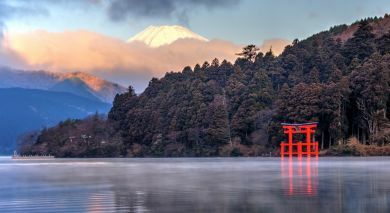 There is an unmistakable air of serene mysticism around Kyoto! 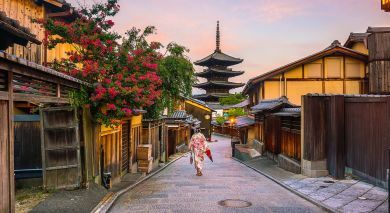 As Japan’s former capital it also happens to be one of its best preserved cities, drawing thousands of travelers from around the world with its distinctive charm. Kyoto enjoyed a special status in the hearts of the Japanese as the royal seat of power and the residence of the Emperor – from the late 6th century to the 17th century! Four Seasons Hotel Kyoto is located within the heart of a scenic district where Kyoto’s many temples sit. Gion Yoshi-Ima, one of Kyoto’s well-known traditional lodges, offers you a comfortable stay. Hotel Granvia Kyoto, located above Kyoto Station, provides great accessibility. Hotel Gracery Kyoto Sanjo is set amid the vibrant Teramachi shopping arcade of Kyoto. Enjoy easy access to decades-old Japanese stores selling everything from kimonos to souvenirs, unusual artifacts, and gadgets of all kinds! Hotel Kanra Kyoto, offers you a comfortable experience and is located near Kyoto’s most prominent attractions. Hotel Vista Premio Kyoto, tucked between two downtown shopping streets with numerous shops and eating joints, and is a ten minute drive from Kyoto station.